Why Is My Partner So Angry? Anger isn’t necessarily a bad thing. In fact, we have been wired to get angry since caveman days—our heart rates and hormones increase giving us energy to take action. Basically, it’s a way to protect ourselves. So it’s not that anger is bad, it’s just that we no longer have to defend ourselves from saber tooth tigers. And finding the cause of our anger is difficult. It’s especially difficult when your partner gets angry and you take the brunt of it. Because you feel defensive, or even get angry yourself. Then you get into a heated battle, which is bad for both of you. But how do you put your own anger aside? The important thing is to try to understand what caused your spouse to be angry in the first place and get to the root of it. Stifle the put-downs. Sarcasm is seldom effective, and usually stokes more anger. Telling your partner to “calm down” or “quit overreacting” is equally not helpful. Basically, when you say that you are belittling your partner by telling him his very real emotions are not important. Or not acceptable. Instead, try telling him you hear what he is saying and that you are listening to him. Don’t try to solve anything, just be there to experience what he is feeling. Find the Reason. Sometimes the answer is obvious. You were late to meet him and kept him waiting ten minutes. To you, ten minutes late is practically on time. To him, who arrived five minutes early, it’s a lifetime of waiting. And it makes him feel unimportant and anxious. If you really cared about him, you would make the effort to be on time. You wouldn’t be so thoughtless about him. And you wouldn’t make him suffer while he wonders what terrible car accident you’ve been in on your way to meet him. Often the reason is not obvious because anger is what you see on the surface. Then you have to be patient and try to understand what his anger is covering up. Usually it is an emotion that he doesn’t believe is acceptable to expose. And that could be a journey to discover. Help your partner by assuring him you’re with him and want to help him understand his anger. If you work on this together, you will no doubt become closer in the process. 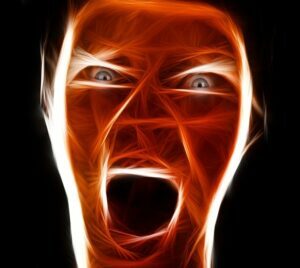 Sometimes the only way to get at the root cause of anger is with the help of a therapist. You can help your partner find one who is qualified, professional, and a good fit for him.